A naturally robust and earthy wine red, Marsala enriches our minds, bodies, and souls. The impactful, full-bodied qualities of Marsala make for an elegant, grounded statement color when used on its own or as a strong accent to many other colors. Much like the fortified wine that gives Marsala its name, this tasteful hue embodies the satisfying richness of a fulfilling meal while its grounding red-brown roots emanate a sophisticated, natural earthiness. 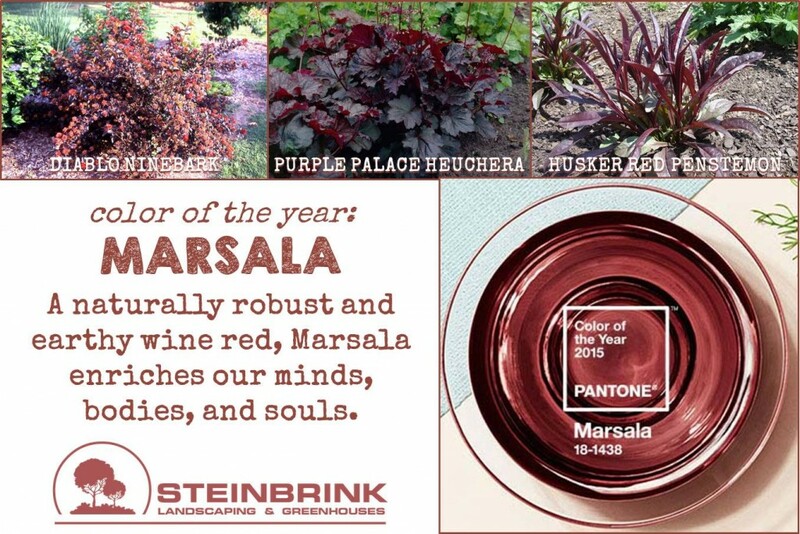 There is certainly no lack of plants that fall into this color category, so make room for this color in your garden.